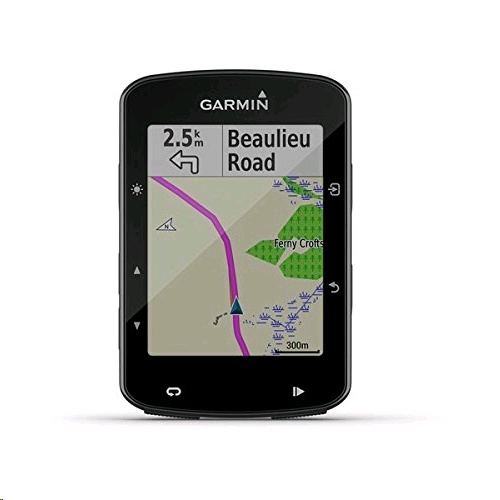 - Advanced GPS bike computer for competing and navigation - Features advanced navigation, including new rider alerts and the preloaded Garmin cycle map with turn-by-turn directions -on and off road - Preloaded Strava Live Segments let you compete second by second with your previous best or another rider's PR; see real-time results right on your screen - Stay connected with your compatible smartphone using LiveTrack and Group Track, smart notifications, rider-to-rider messaging and built-in Incident Detection - Monitors cycling-specific Vo2 Max and recovery time when used with option power and heart rate monitors - Tracks Functional Threshold Power (FTP) and cycling dynamics when used with Vector� power meters - Battery life: up to 15 hours, depending on usage With Edge 520 Plus, you can train smarter and discover new routes. 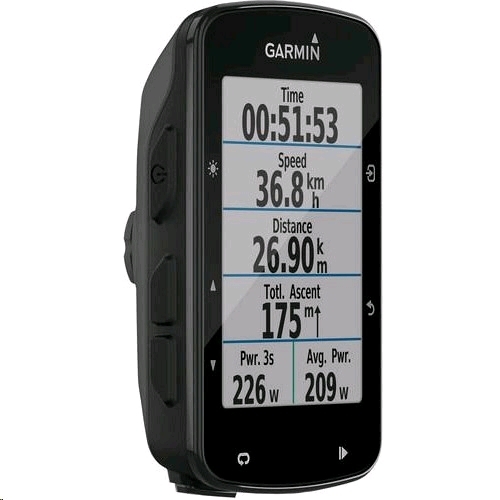 This cycling computer features advanced navigation and challenges built right in, not to mention a bright color screen, preloaded Strava Live Segments and the Garmin Cycle Map with turn-by-turn directions. Whether you're exploring new routes or pushing your limits at race time, Edge 520 Plus has exactly what you need. [Personalized Race Day Power Plan From Best Bike Split] The preloaded Best Bike Split app allows you to see how changes in weight, power and drag can affect your goal race time, and it creates the perfect power plan for race day. With the Best Bike Split Race Sync app, your race day power plan will guide you to your best bike split ever. Simply link your Best Bike Split account with your Edge 520 Plus, and all of your current race plans will be available at your fingertips. Create a Best Bike Split account today. Preloaded Strava Live Segments let you compete second by second with your previous best or another rider's PR; see real-time results right on your screen. 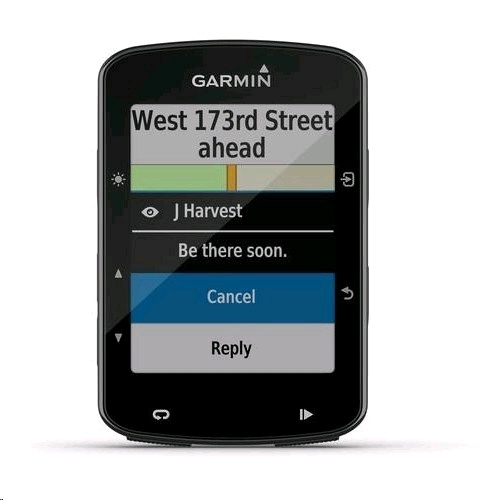 Stay connected with your compatible smartphone using LiveTrack and GroupTrack, smart notifications, rider-to-rider messaging and built-in Incident Detection.